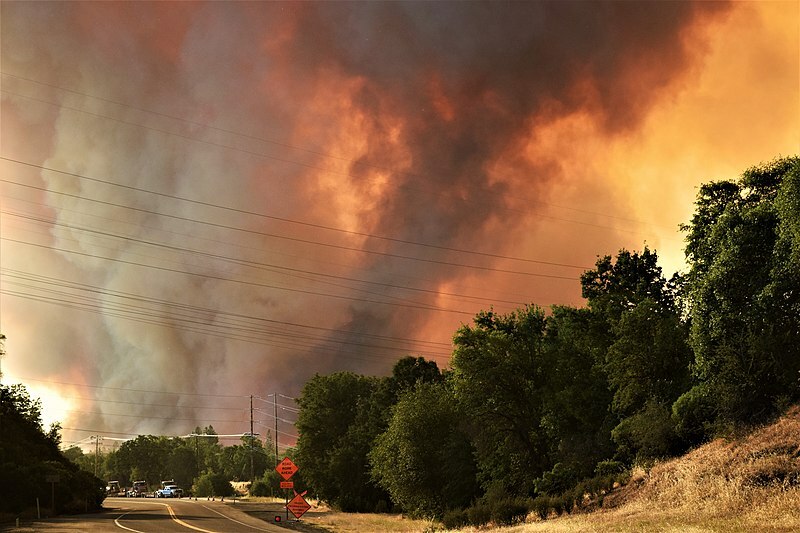 The Carr Fire is a 2018 California wildfire that burned in Shasta and Trinity counties. Image: Eric Coulter, BLM. The Weather Channel says that if there is too much rain, California could experience floods and mudslides, but, for now, the rain will bring some relief. Meanwhile, many people have helped to fight the fires and to help people affected by the blazes. Horse & Hound magazine reports that volunteers have been working hard to reunite people with their horses and pets, in areas where people have had to leave. “The Humane Society of Ventura County is acting as a sanctuary for animals evacuated from their homes,” reports Horse & Hound. 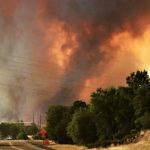 Other organizations that are helping animals affected by the fires include the County of Los Angeles Department of Animal Care and Control and the UC Davis Veterinary Emergency Response Team, the magazine says. Today’s article mentions how animals are being provided safety. Who else might require arrangements during an emergency? Make a list of 10 different groups who might need special assistance. What are the key points in today’s article? What makes these points the most significant in the article? Today’s article makes mention of Horse & Hound magazine. The ampersand in the title is a symbol that means “and.” Think of other examples of where you have seen an ampersand used? Why and when might someone choose to use an ampersand instead of the word “and” ? Young reporters Willem and Nellie at KIDS News Break (not affiliated with us except that we love their YouTube channel) did a great job reporting on the California forest fires, and giving tips on fire safety. AND they did it in English and in French!